Champagne is a complicated place. Since its early days the region has been inseparably linked to a sense of glamour and “le marketing.” It can be easy to lose track of quality and distinctiveness amid Champagne’s glossy promotional haze. But Pascal Bardoux, our tiny grower Champagne producer, cuts through the noise. 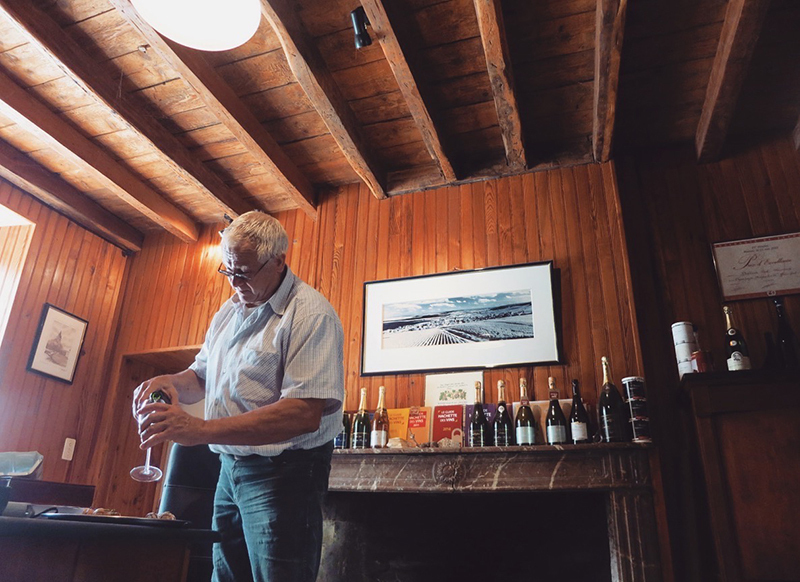 His small-batch Champagnes are quietly exceptional — his tasting room is his small untidy office, where we taste slowly and thoughtfully from an old beat-up leather sofa. And his wines, humble and delicious, are comparative bargains. Much mass-market Champagne that gets to the US fetches between $75 and $100 a bottle; Bardoux’s small-batch Brut Traditionnel doesn’t even crack $50 — twice the wine at half the price. Bardoux’s Brut Traditionnel is his non-vintage cuvée, and an excellent entree to the collection. A blend of 60% Pinot Meunier, 30% Chardonnay and 10% Pinot Noir, this wine has the complexity and depth to match the finest bottles from Burgundy or Bordeaux. The nose shows plum, chalk, lime zest, and buttered biscuits; the mouth is dry, elegant, and smooth, with notes of apple and toast. We can’t recommend this wine highly enough. For those new to Champagne, this wine will convert you with ease, and at $49/bot it won’t blow your budget. It makes a lovely gift this time of year, and your recipient will never know what you paid.